Biggest has been celebrating some huge milestones lately. Not only is he now dry in the day, he has also undressed entirely by himself for the first time, is drinking from a cup instead of a beaker most of the time, and has completed a primary school induction day. I could not be more proud of him. 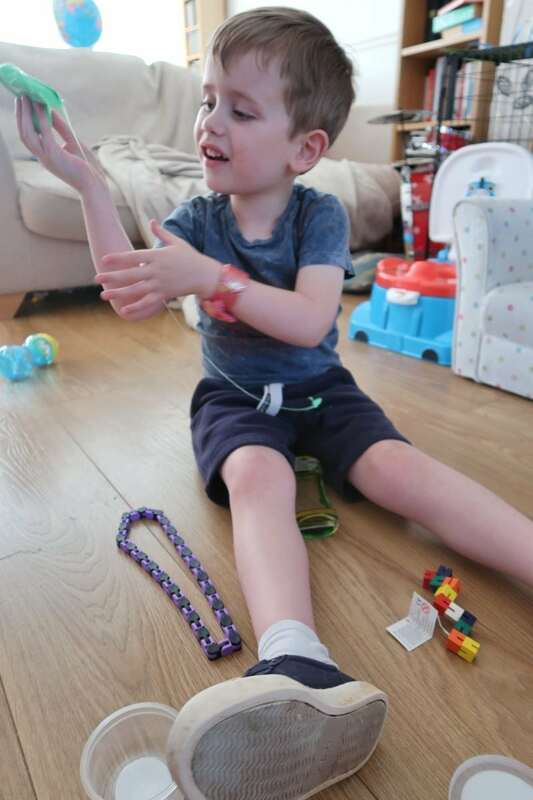 As rewards, he has received a few sensory toys that have been huge hits. I thought we would share them with you. 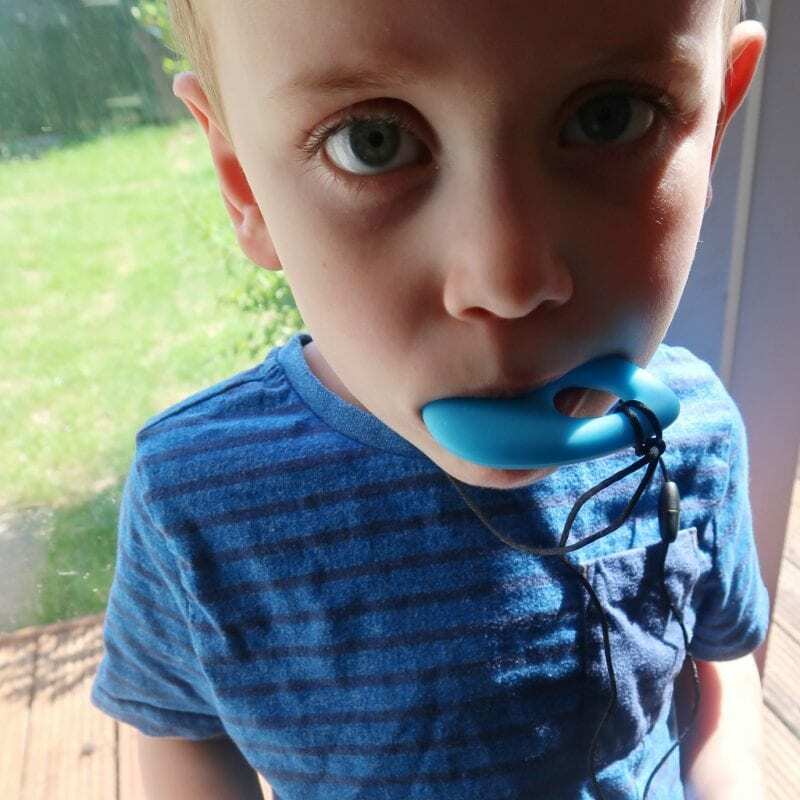 My son is a big sensory seeker and loves anything that lights up, makes noises or that he can touch or chew (as long as it isn’t sticky!). 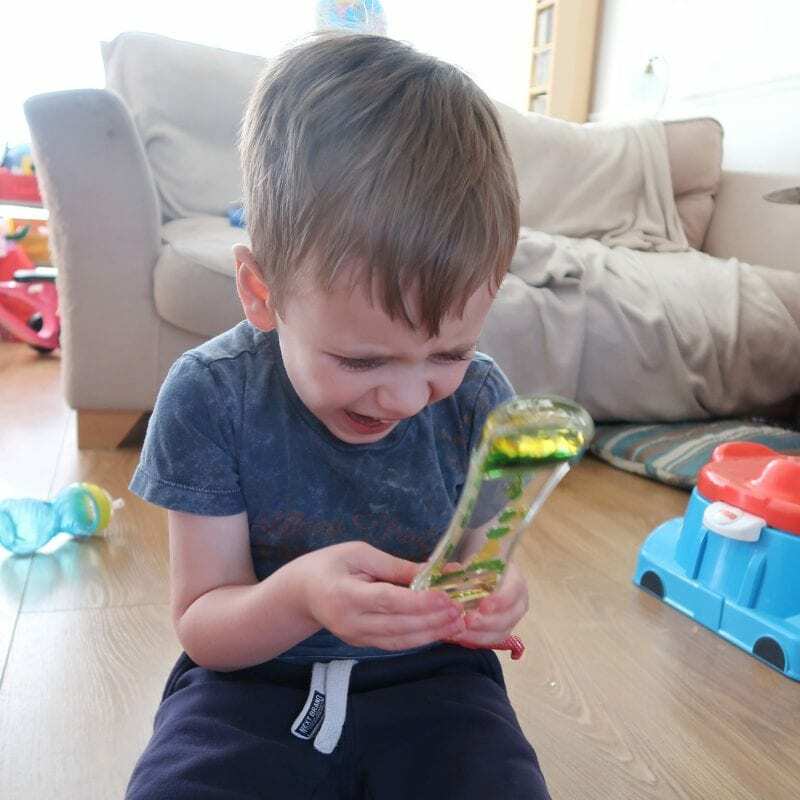 He is not a huge fan of many traditional toys – or at least he does not play with them in traditional ways – and so we usually buy sensory toys and aids for him instead. Here are the most popular items he has enjoyed recently. 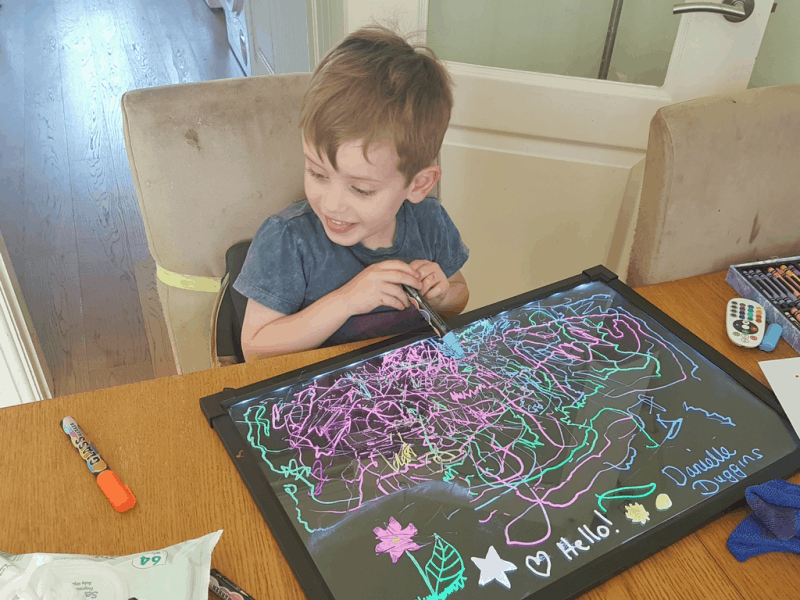 This LED light up drawing board is fairly expensive at £42.99 but you can get slightly smaller versions for less. Biggest is absolutely mesmerised by it. He struggles a great deal with motor skills and cannot yet grasp a pen in the correct way, and so I am really helping that it might encourage him to start trying to form letters. He has a fairly good knowledge of the letters and phonics but I think learning to write will be a huge challenge for him. 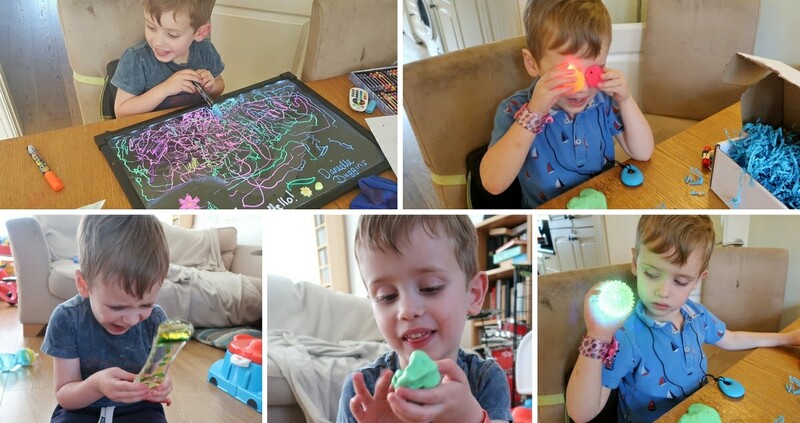 With school beginning, I hope that his love for sensory toys will help us work on this skill! As you can see, there were some items in there that were huge hits, most notably the chew necklace and the sensory putty. Biggest has used them both most days since we received them. The Chewy Necklace was an instant hit with biggest. He likes to mouth most objects that are big enough to go in his mouth. It is a sure sign that he is anxious when this happens. This necklace means he can seek sensory comfort when distressed without us worrying about him putting something dangerous in there. The other huge hit with Biggest was the therapy putty. You do have to be careful not to leave the putty to ‘set’ on clothing. It is really easy to remove when handling but, if left for any length of time, it kind of ‘sinks’ into the clothing and will not come off! 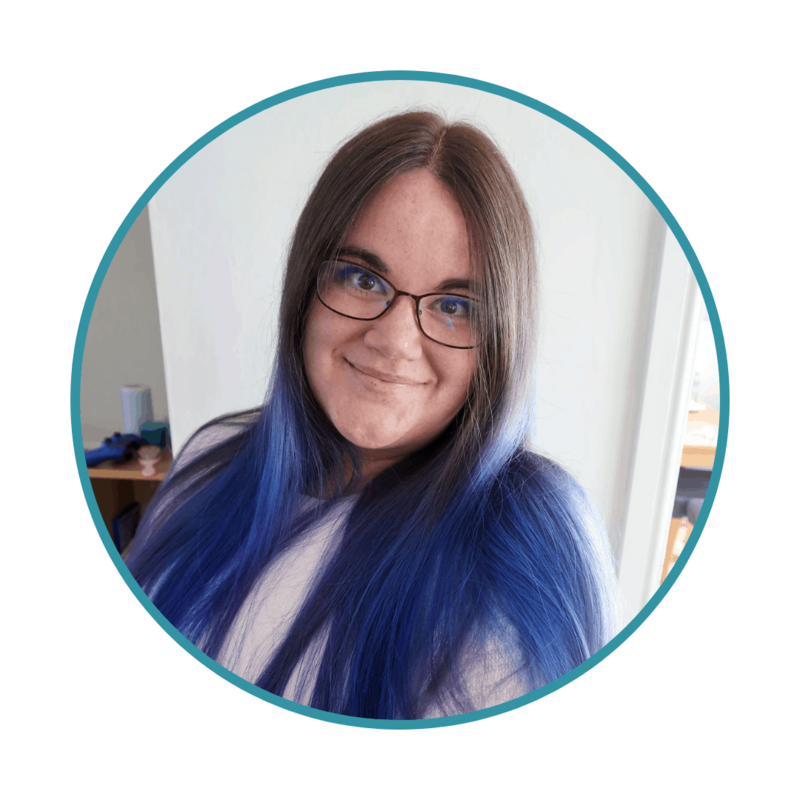 These items are already providing Biggest with a great deal of fun and stress relief – just like the SensoBox slogan, putting tense in the past – and we are always on the look out for ways to give him a fulfilling sensory diet. 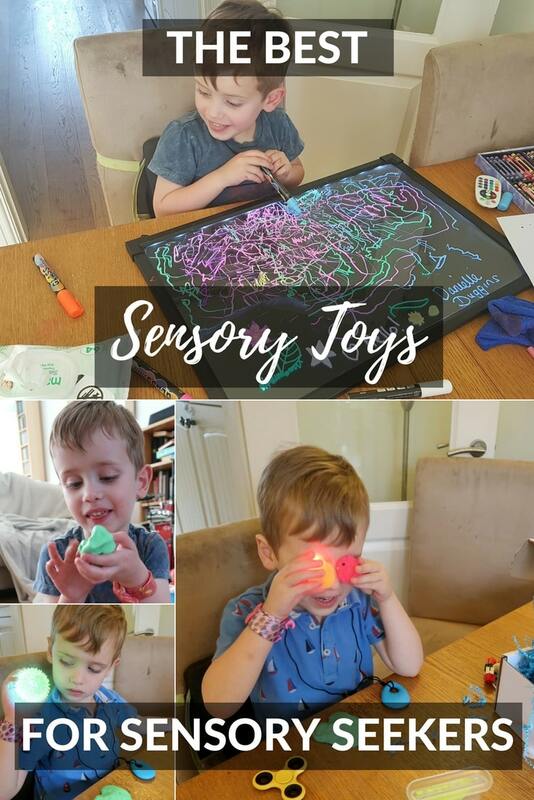 What you your favourite sensory toys, aids and activities? We would love to hear. Please note, we purchased the LED drawing board ourselves. The SensoBox sent us the subscription boxes in order for us to review. However, we genuinely loved them, as you can see in the video. I love his face on these pictures, he looks chuffed to bits. The light up board looks fab! Could have done with that in my childminding days. They have some fantastic things nowadays to stimulate the children. It looks a great company. Hope he gets many more happy hours with them.